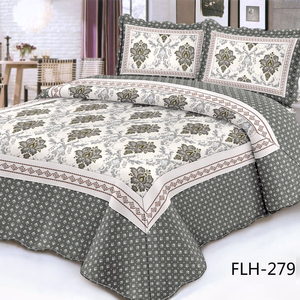 for our Running design our MQQ :200 sets/pattern bed sheet . 2)How about the size9 For different country, we accept custom-made bed sheet. 6)What's the payment for bed sheet9 We accept T/T L/C D/A D/P western union PayPal. 2. How about the size9 For different countries, we accept custom-made. will depend on your requests, and your logo can be customized on your products. It is very convenient to visit us, and clients from all over the worlds are highly welcome to us. 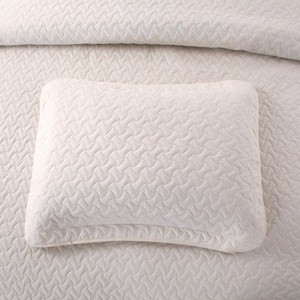 single size bedspread with cushion Fabric 100% polyester microfiber fabric Filling 100% polyester Weight 60-90gsm shell fabric, 80-200gsm 100% poly fill Color Any color you select from Panton Color Card is available. More designs are sent later for free. are our other advantage products. 2. By air port to port: about 7-12days depends on port. 3. By sea port to port: about 20-35days 4. Agent appointed by clients. The MOQ depends your requirement for color, size, material and so on. 3 YRS Pujiang Pinli Home Co., Ltd.
is a collection development, design, production and sales of integrated textile enterprises, 20 years of consistent focus on the characteristics of the art of quilting textile products, "the pursuit of excellent quality, reflecting the fashion aesthetic. 2.Q : how long will you get the samples from us 9 A :For new clients ,after you paid the cost of samples,you &lsquo;ll get our samples from 7-14days ; For regular customers,after we read your instruction,you can get the samples from 7-14days . 5.Q :If the products isn't consistent with the website describing,how to solve it9 A : IF the products are defective or different with the describing words of the seller, don't worry, we will accept customs' exchange ,return unconditionally. for our Running design our MQQ :200 sets/pattern embroidered quilt . 2)How about the size9 For different country, we accept custom-made embroidered quilt. 6)What's the payment for embroidered quilt9 We accept T/T L/C D/A D/P western union PayPal. 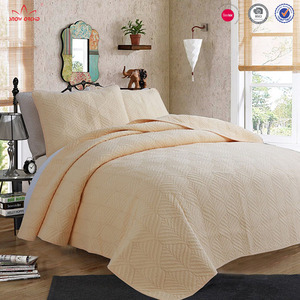 microfiber soft bedspread super king size Fabric 100% polyester microfiber fabric Filling 100% polyester Weight 60-90gsm shell fabric, 80-200gsm 100% poly fill Color Any color you select from Panton Color Card is available. More designs are sent later for free. are our other advantage products. 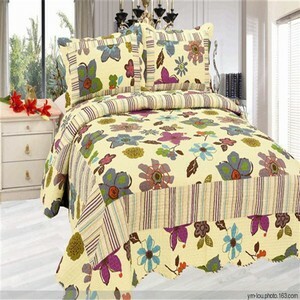 Alibaba.com offers 191 bedspread kantha products. About 61% of these are quilt. A wide variety of bedspread kantha options are available to you, such as 100% cotton, 100% polyester, and microfiber fabric. You can also choose from printed, embroidered. As well as from handmade, stitching, and patchwork. 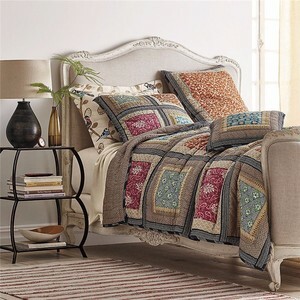 And whether bedspread kantha is cotton, cashmere, or polyester. There are 191 bedspread kantha suppliers, mainly located in Asia. 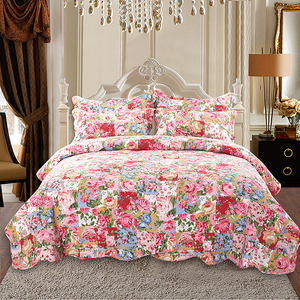 The top supplying country is China (Mainland), which supply 100% of bedspread kantha respectively. Bedspread kantha products are most popular in North America, Eastern Europe, and Western Europe. You can ensure product safety by selecting from certified suppliers, including 16 with ISO9001, 6 with ISO14001, and 4 with Other certification.